Nothing can drive you nuts more than stray hair that is constantly in your face when you are trying to exercise or go about daily life. 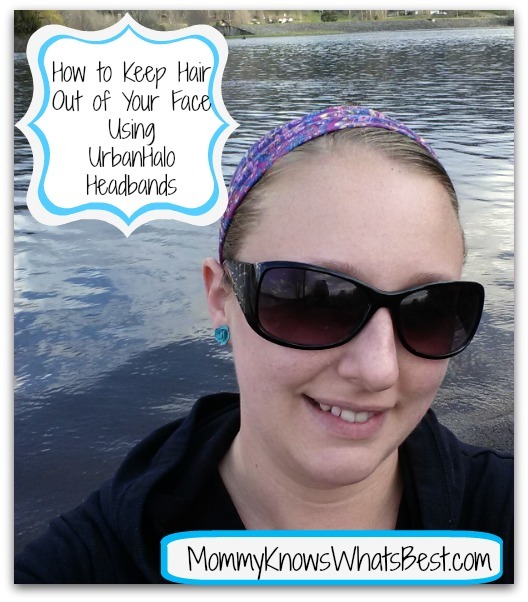 How do you keep hair out of your face when exercising or gardening or shopping, or anytime? The best way to do it is to use a headband that won’t slip as your moving or running. 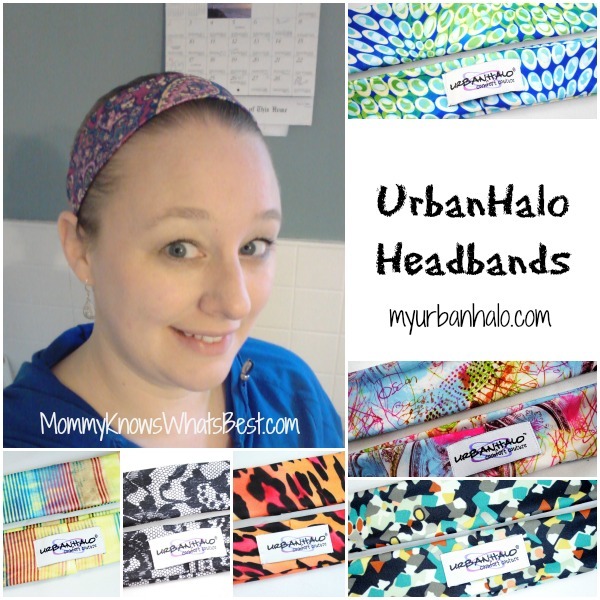 UrbanHalo has created a no slip headband that can be used both for exercising and just for everyday life. It’s designer, Jen, wanted to make something that was both functional yet fashionable so that it could be used while exercising, shopping, or picking the kids up from school. The result was the no-slip UrbanHalo, designed to stay in place no matter what you’re doing. I was sent the Bohemian Rapsidy UrbanHalo to review. I LOVE the pattern! It’s so colorful and coordinates with most of my everyday outfits! The headbands have raw edges, which means they can be worn wide, narrow, or scrunched, giving you a different look every time. I have worn the headband while exercising, which for me is my cardio workouts and walking. I have also worn it to keep my fly-aways out of my face while shopping, cleaning the house, and gardening. In the photo above, I was walking with the kids at a state park and I wore the UrbanHalo scrunched up. Not only does it keep hair in its place, it also doesn’t give me a headache like other headbands can. Another benefit of the UrbanHalo is that it helps to keep sweat from pouring down into your face. When you’re working out, you know how annoying that can be! These headbands are perfect for fitness enthusiasts, gardeners, busy moms, kids in sports, or anyone looking for a functional yet stylish headband! There are nearly 40 different designs to choose from, plus Halos in solid colors, with rhinestones, and for the guys. They also offer Studio Scarves that can be worn in a variety of ways. Visit UrbanHalos to see them all! Tell me: Which style would you choose? 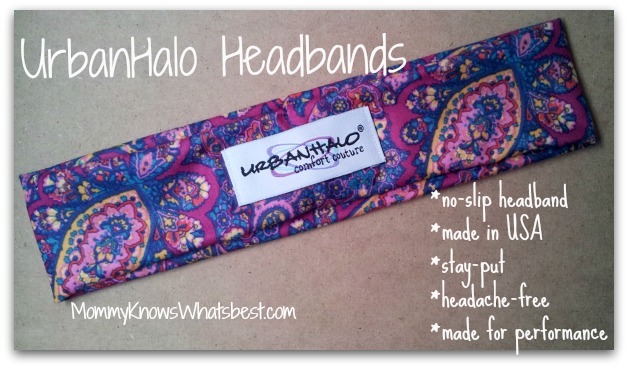 Enter to win an UrbanHalo, valued at $15.00!! Disclaimer: This blog was not compensated nor is responsible for prize delivery. Giveaway begins 5/19/14 and ends 6/2/14. One entrant/email per household. One winner will be chosen randomly from Giveaway Tools. Void where prohibited. The winner has 48 hours to respond to the congratulatory email. If the winner does not respond, a new winner will be randomly chosen by Giveaway Tools. Facebook, Twitter, Pinterest, and Instagram are in no way affiliated with this giveaway. 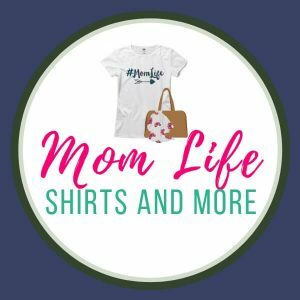 If you have any questions, please email Marissa at MommyKnowsWhatsBest (at) gmail.com. I’d love the midnight lace! Haute Head, GI Jane, Free Spirit, Flash Back, Crocodile Rock, Bonehead, Black Velvet, Black Magic, 50 Shades of Urban, Vogue, Surf’s Up, Stormy Night, Starburst, Spangled, Red Velvet, Pumpkin Patch, Pink Lemonade…… I am greedy and want them ALL! If I won I think I would choose the Starburst design. My favorite is the Midnight Lace print. I’m always trying to find new hair things. Thanks for the info. I am constantly brushing hair out of my face. It’s annoying. I’m not crazy about the way the the headband looks, but if it works, that’s what’s important.